Over Thanksgiving Break, we had lunch at Coral Reef, a table service restaurant in Epcot at Disney World. 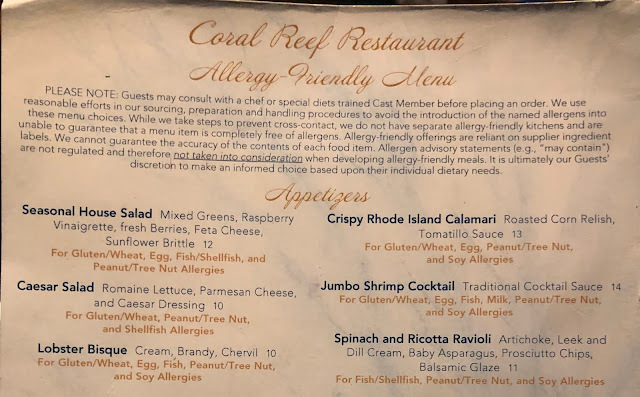 We have eaten at Coral Reef before, but it had been a few years, so we were excited to dine there again. One of my favorite parts of Coral Reef is that you have a view of The Seas with Nemo & Friends while you dine. 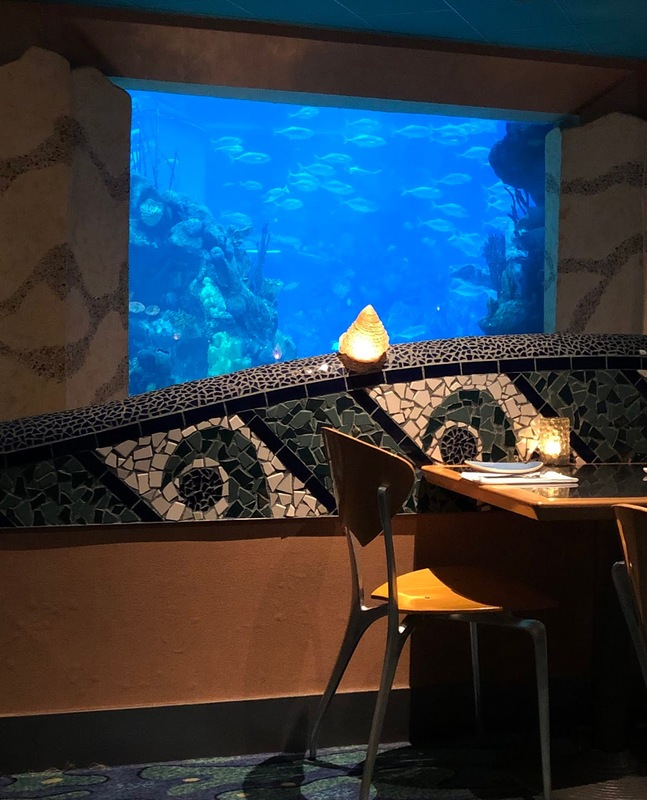 I forgot to request a table closer to the windows, but we still had a decent view, and were able to see plenty fish, turtles, rays, and sharks. Coral Reef's allergy-friendly menu lists options for people with gluten/wheat, milk, egg, soy, peanut/tree nut, fish and shellfish allergies. If an allergy is noted under a dish, it is safe for that allergy. Plenty of dishes were marked as gluten-friendly, and I knew what I wanted to order, so I chose not to speak to a chef, especially after we waited quit a while for a table, and quit a while to order. Our server, who was very sweet, was busy with a few other tables when we were seated. When I order without speaking to a chef, I always stress that I have celiac disease, and that I need to eat gluten free. If you feel more comfortable speaking to a chef, be sure to inform your server. If they seem reluctant to get a chef for you, ask to speak to a manager. 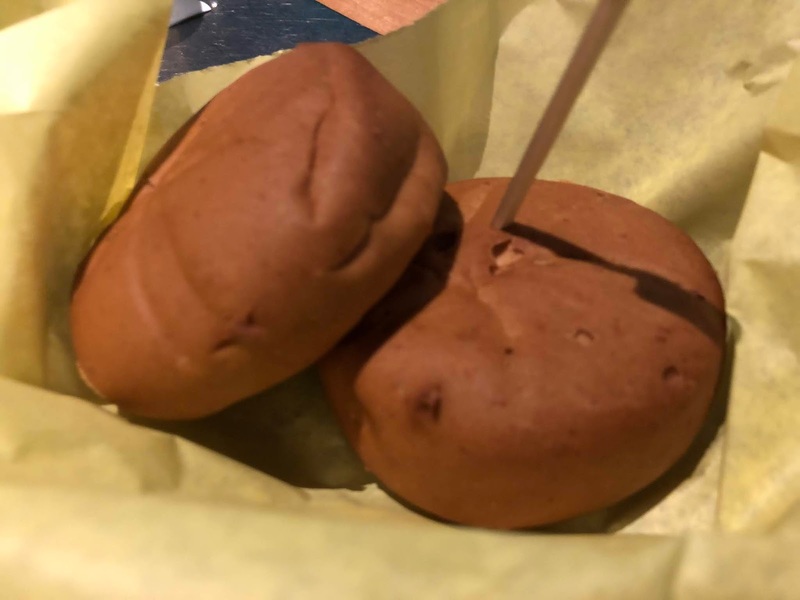 I am always disappointed when I am served Ener-G rolls at Disney World, because I know there is another option that is just as allergy-friendly and tastes way better. On this trip, I only had Deanna's Gluten Free rolls at Trattoria al Forno. I love them so much, I ordered a few dozen when we got home to California. 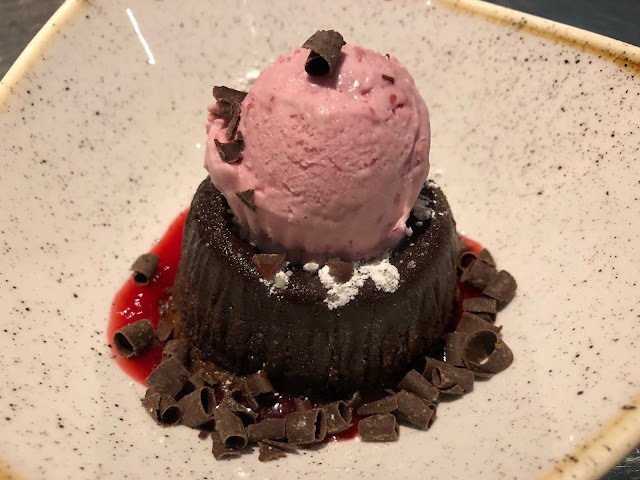 We decided to share a few dishes at Coral Reef, because we had eaten breakfast at Kona Cafe, and had dinner reservations at Trattoria al Forno, so no one was in the mood for a big meal. 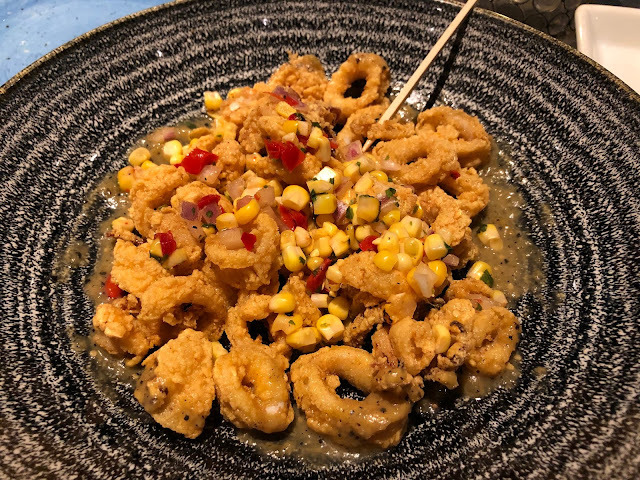 From the appetizer menu, we chose the Crispy Rhode Island Calamari, which is served with roasted corn relish and tomatillo sauce. I have always said that my favorite fried calamari at Disney World is from Trattoria al Forno, but the calamari at Coral Reef was just as good on this visit. It was nice and crispy, and I loved the accompaniments it is served with. 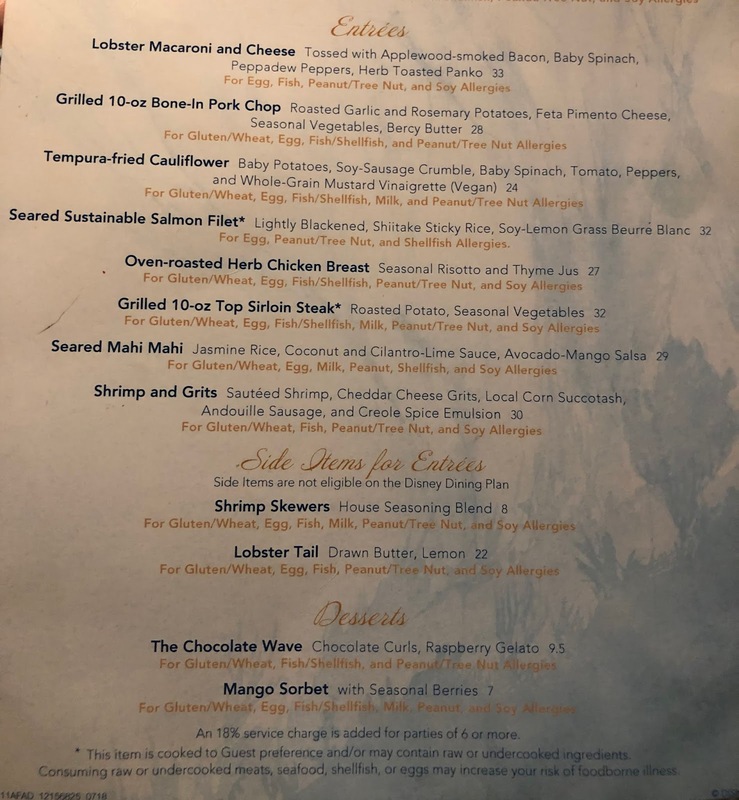 We shared two entrees, though I could not eat the seared sustainable salmon filet my daughter Emma ordered, because it contains gluten. My child who used to dislike fish, really enjoyed her entree, which she shared with her sister and father. 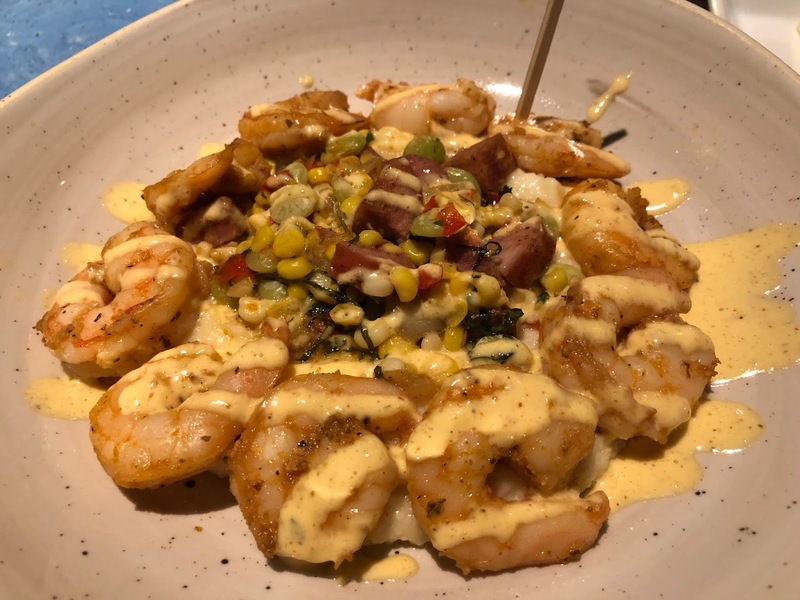 I chose the shrimp and grits with sauteed shrimp, cheddar cheese grits, local corn succotash, andouille sausage, and Creole spice emulsion. I have been hearing how amazing this entree is, and it did not disappoint. Everything on the plate was delicious, but we were all fighting over the cheddar cheese grits, which were just heavenly. I might have to ask for the recipe when we go back in June. For dessert, we shared The Chocolate Wave, one of my favorite gluten free desserts at Disney World. 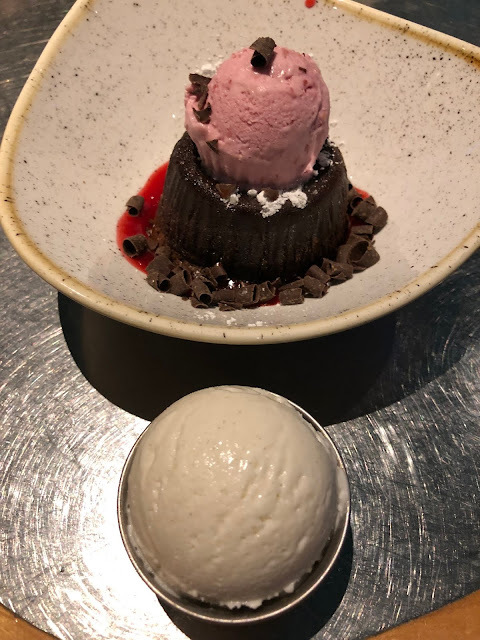 My daughters like it with raspberry gelato, but I prefer it with vanilla ice cream, so our server was sweet enough to bring us both. We all regretted not ordering more than one, but we try hard not to overeat too much while on vacation. At the center of The Chocolate Wave is a rich, warm chocolate cake. I could do without the chocolate churls, because I don't enjoy chocolate on chocolate, but the presentation is beautiful. I love to eat each bite with a little raspberry sauce and vanilla ice cream. 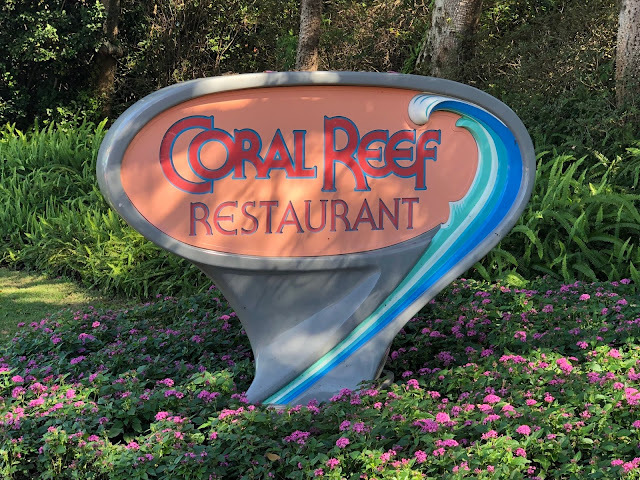 Overall, we had a great meal at Coral Reef, and look forward to going back in June. 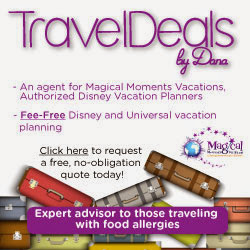 My friend Sarah from Gluten-Free & Dairy-Free at WDW recently dined there as well. You can read her review here. 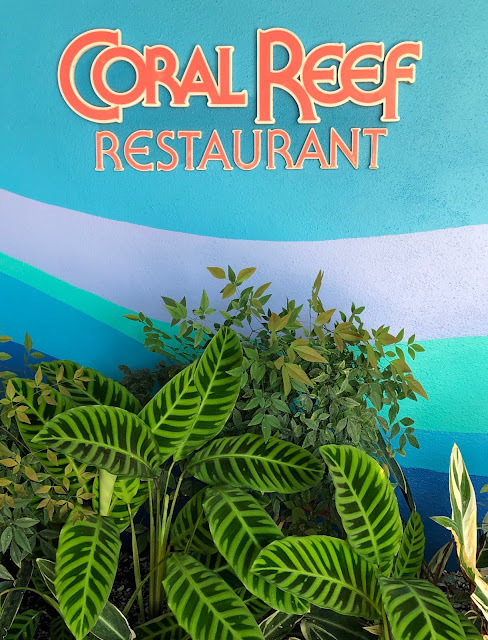 You can read more about Coral Reef Restaurant, view their menu and hours, and make advance dining reservations on Disney's website. What are your favorite gluten free options at Coral Reef?